Am I the only person who starts getting the itch to re-read Harry Potter when the weather turns cold and pumpkins are all around? It’s like I can tell Hogwarts is frosting over and Hagrid is carving giant jack o’lanterns and I get this craving to hang out in the Great Hall and drink some butterbeer for a while. Don’t worry, that’s not really what this post is about. I was just wondering if I am weird or if this is maybe a cultural phenomenon? Never mind. Don’t answer that. Let’s talk about Fall books, though! For me, every season has a feeling, so I like my fall books to make me feel like fall. How does fall feel, you ask? Fall has a split personality. On the inside, fall feels cozy and filled up and satisfied with abundance. On the outside it feels windy and shivery and mysterious. Fall is a time for books with lots of food description. (Old books are best for this. I’m looking at you, Dickens.) Fall is a time for ghost stories, nothing too gory, of course, just a curious, creepy, and slightly wistful tale, something like Ray Bradbury’s The Martian Chronicles or Mary Shelley’s Frankenstein. Fall is a time for Sherlock Holmes. You need to be out following clues on a misty moor or tracing a criminal through the rainy streets of London and then home for tea and maybe a brandy or two. I mean it, grownups. I know you love Sherlock. I respect you enough to assume that much. But have you actually read Sir Arthur Conan Doyle’s books? If not, this is the perfect season to try them out. They’re wonderful. As for the kids, I have a few favorites. By category! 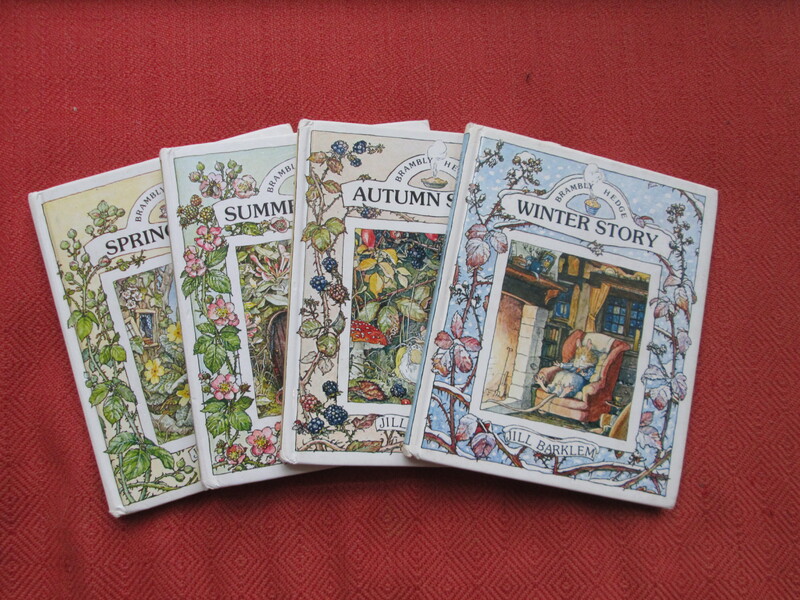 This is part of a set, one book for each season, and they are completely delightful. This book wins Best Fall Book because it’s about fall and it also captures that fall feeling perfectly. It’s all stored up nuts and berries and adorable cozy details. 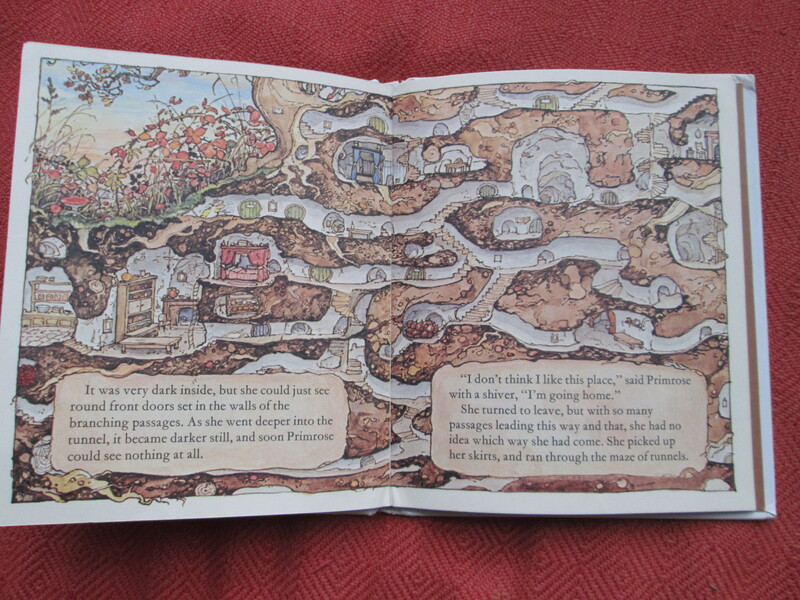 I want to live in Brambly Hedge. Really, I do. 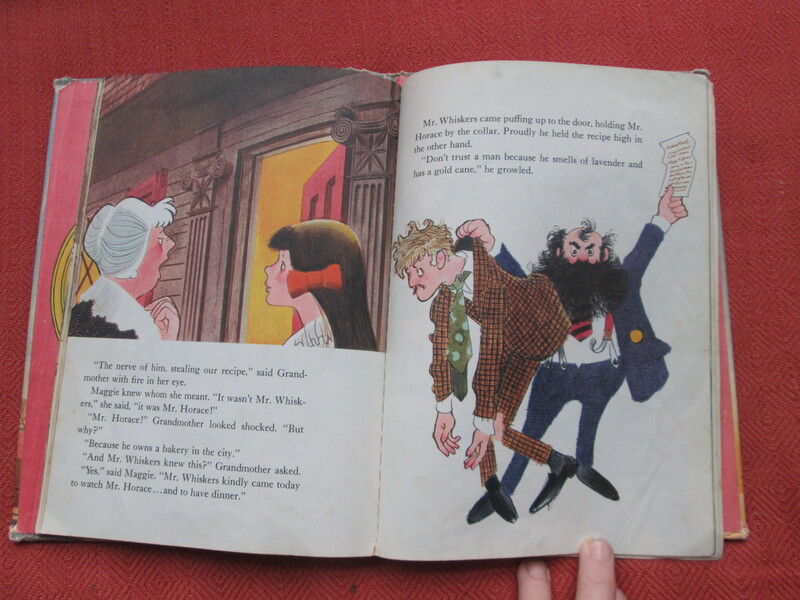 My favorite Halloween Book: Go Away, Big Green Monster by Ed Emberly. Ed Emberly is one of my favorite illustrators, and this book is so cute and clever as each page adds to the scary monster, right up to the midpoint, where the kids get to banish him…one feature at a time. Just really great in concept and execution. My favorite Thanksgiving Book: Cranberry Thanksgiving by Wende and Harry Devlin. Yes. That. And it ends with this old recipe for Cranberry Bread. The whole thing is a delight. I have this little basket where I keep books that correspond to the current season. It’s one of my favorite corners of my house. Picking things to go in it is one of my favorite activities. I’m nerdy like that. So while I’m off resisting the urge to try a big flagon of pumpkin juice, what do you think? 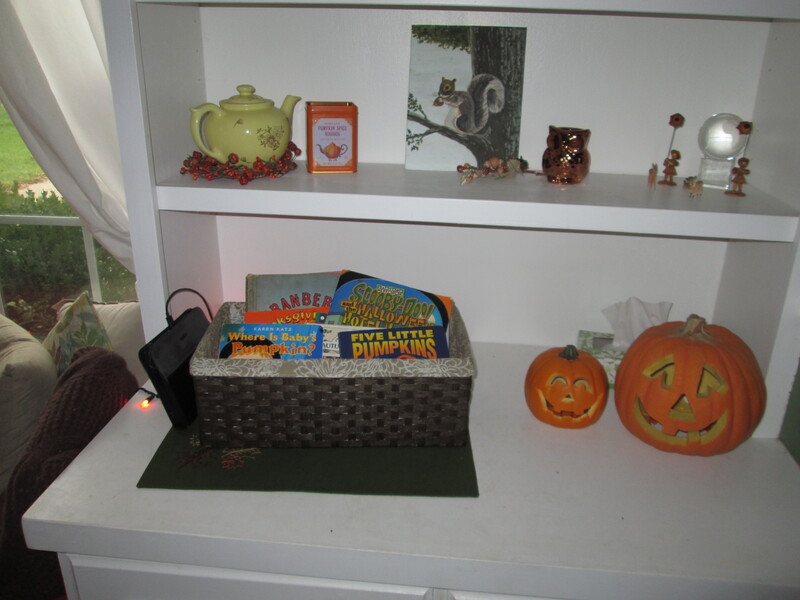 What other books should I put in the fall basket?